Aloha Poke Shop in Downtown Honolulu has been bustling since word got out that a company selling poke on the mainland is attempting to enforce a trademark on the words “aloha poke.” A move that could force this Bishop Street establishment to change its name. Poke Shop employee Saul Dela Rosa whips up the “Aloha Special” – Hamachi ahi and salmon poke over a hot bed of rice. This is customer Clay Chapman’s favorite poke spot. That’s just it. A trademark search for the word “aloha” on the legal website Justia, yielded more than 5,500 results of companies either registering a trademark with “aloha” or initiating the process. Aloha is used for everything from clothing to paper goods, and electronics to food. The Chicago-based restaurant chain, Aloha Poke Holdings, also known as Aloha Poke Company. Sampson received the cease-and-desist letter from the company in January, as did other poke shops in Alaska and Washington State. “You know to me, I thought there was no way you could do it. I mean, you can’t trademark ‘pizza.’ There’s a million pizza places,” said Samson. Trademarks are nothing new in a world where business is all about the brand. But for some Native Hawaiians, the concept of ownership associated with trademarking Hawaiian words or concepts like “aloha poke” is inappropriate. “In plain language, it’s stealing our culture and then using it to profit,” says Ty Kawika Tengan, professor of Ethnic Studies and Anthropology at the University of Hawaiʻi at Mānoa. He says this isn’t the first time Hawaiian culture has been commodified. And in fact, there are a number of local businesses that use “aloha” in a number of names and products. The term, he says, is cultural appropriation. Tengan says meaningful dialogue between businesses and the Native Hawaiian community are key in these situations. But systemic problems persist. 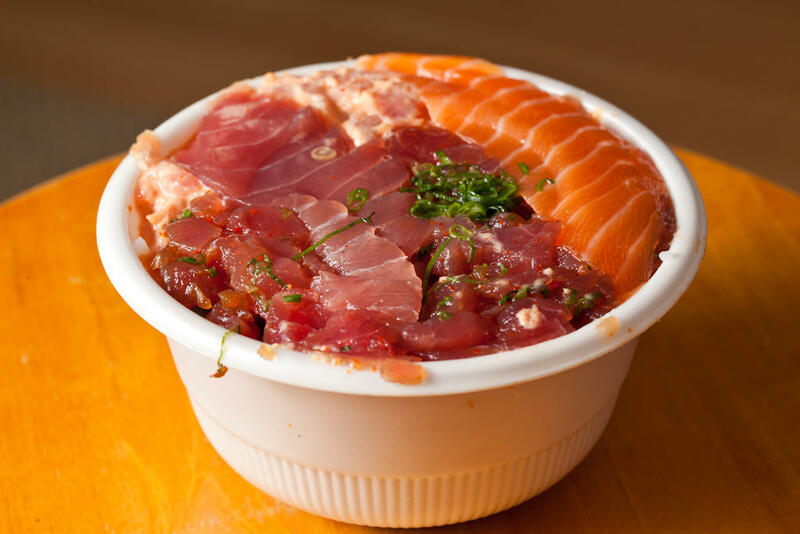 Aloha Poke Company apologized that this issue has been so triggering for Native Hawaiians.